Loka Made is a Malaysian creative brand founded in September 2015 that strives to find a new perspective in art by combining local elements and inspiration from Japanese anime. 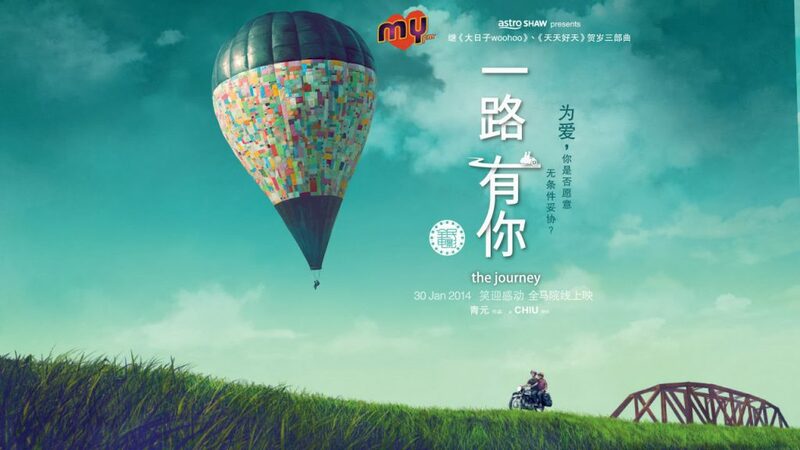 According to their website, they inject fun into seeing beyond the bits and pieces of what makes up Malaysia, by adding their own twist of fantasy and creative imagination. 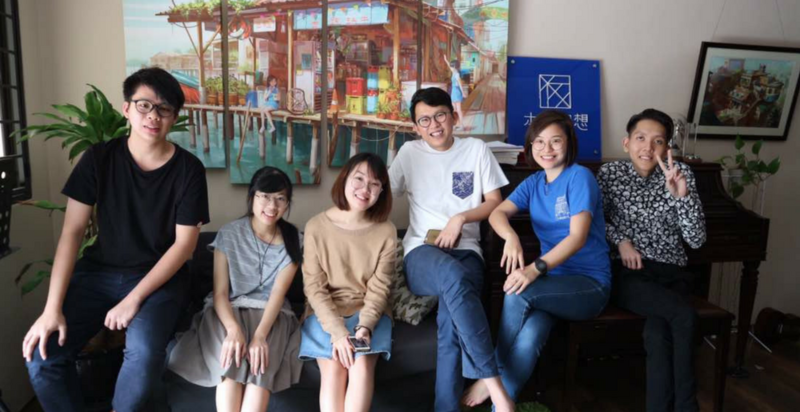 Loka Made was co-founded by Chong Fei Giap and Audrey Chew. Both of them graduated from The One Academy and majored in illustration. 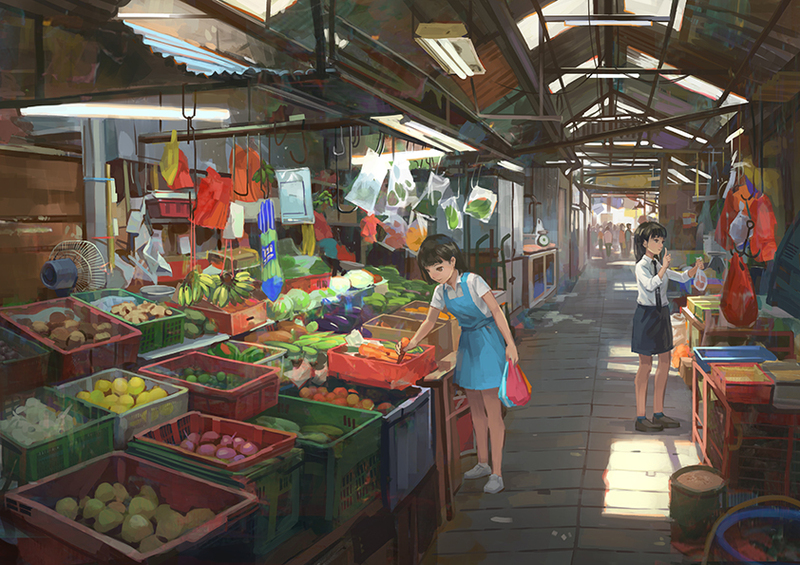 Fei Giap worked as an illustrator for 6 years before founding Loka Made. His achievements include being a guest lecturer of The One Academy, co-creating the concept art and poster for the movie, The Journey, and working on the National Day advertising poster for Petronas Malaysia in 2014. He is in charge of the creative ideas and illustration of the brand whereas Audrey manages the marketing and sales department. They currently have 6 people as the core team of Loka Made, with all of them contributing on a full-time basis. 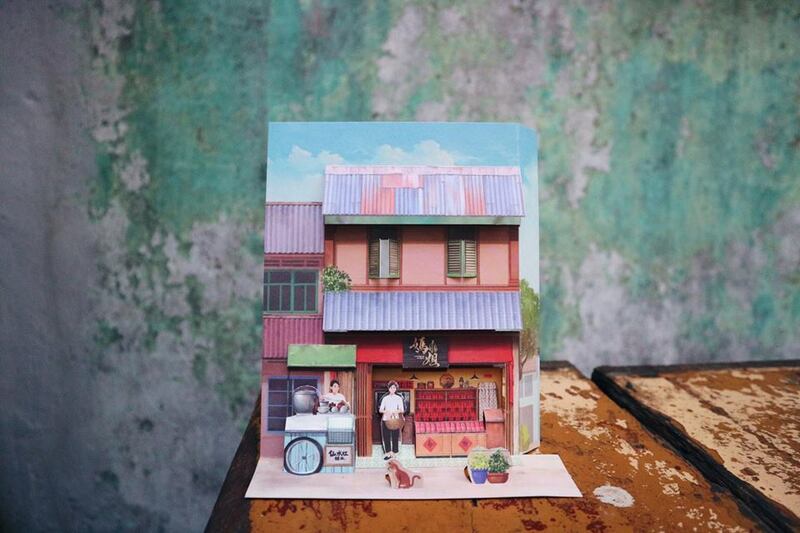 Their physical store at USJ 9 Subang Jaya presents a display of postcards, books, puzzles, and pop-up cards—all evocative of a sentimental view of Malaysian culture. The pop-up cards aren’t postcards or greeting cards in the traditional sense—they are “prefab dioramas” with instructions on how to cut, fold and assemble printed on the reverse side. 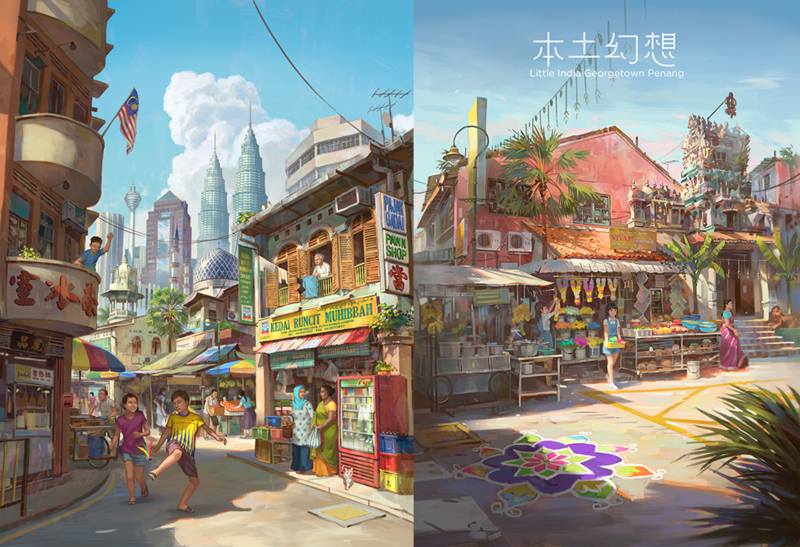 Some of Malaysia’s famous locations serve as inspiration for their art such as the streets of KL, Little India, Jalan Dato Bandar Tunggal, and Jalan Siow Loong Hin. 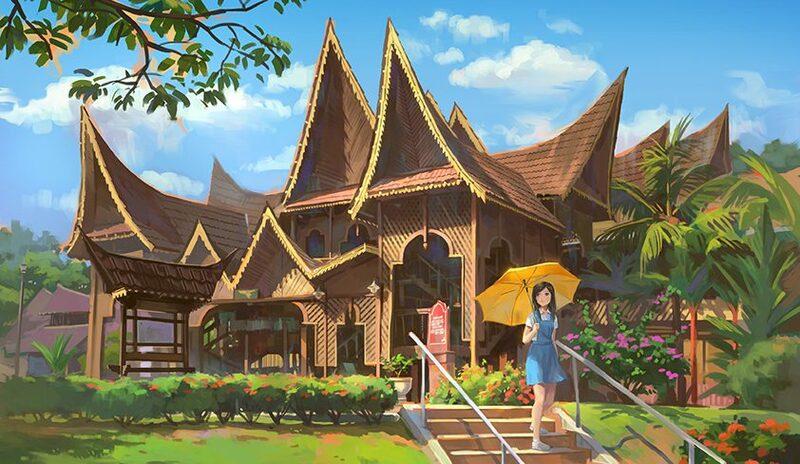 “We are inspired a lot by the heritage buildings, culture, and scenery in our country. 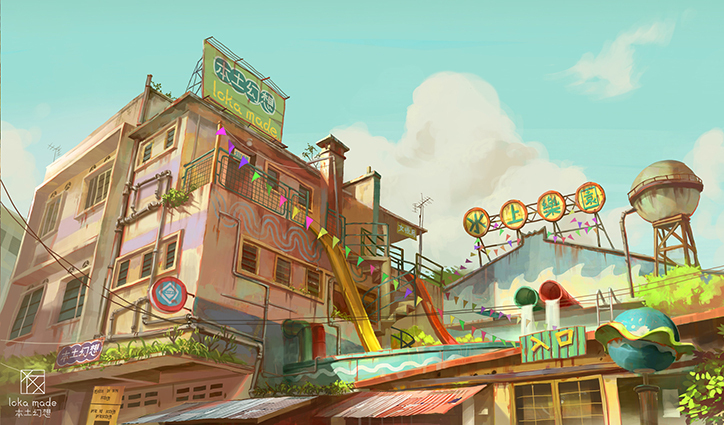 Apart from local and fantasy elements, the core of Loka Made is the imagination and exploration of the world during Fei Giap’s childhood. He sees the world through the perspective of kid, visualising scenes of old cinemas, sundry shops, snack bars and other places he frequented as a child,” Audrey said. They take pride in making artwork that are more than just lifestyle products. Instead, they want to share the rich variety of culture from their own experience to rediscover the world they grew up in. They published their very own Loka Made artbook with their launch and have co-organised nearly 10 art exhibitions since then. Just last year they co-organised an art exhibition and workshop with Eco Tropics. 2017 saw them partnering with Kinokuniya Malaysia for their special edition Kinokuniya privilege card and Mont Blanc for a Merdeka Illustration. They are still in the midst of exploring and experimenting with different kinds of pop-up cards to create more creative landscapes and vivid paintings, as they believe art can be found anywhere and everywhere. One pop-up card costs from RM12 to RM18 and a puzzle box about RM25 to RM138, depending on the size of the product. Starting out bootstrapped with a capital of RM40k, their biggest challenge is to keep Loka Made sustainable with stable income to continue their operations. They have already managed to break even and are channeling efforts to promote the local creative industry in Malaysia by attending bazaars, exhibitions, and weekend fairs. However, their business model differs from other companies as they count their successes in terms of informing the public about the elements of art that can be gained from their everyday life. “Our profit doesn’t reflect our performance as we prioritise on promoting and educating the public on the coalescence of art into their everyday life,” Audrey said. She named one of their most influential artists as Makoto Shinkai, who has directed hits like Your Name and Children Who Chase Lost Voices. With the growth of their brand, they aim to produce their very own animated movie soon, incorporating bits of local elements and Loka Made’s signature rustic yet nostalgic art style. As it is still in the brainstorming stage, Loka Made is turning their attention to creating new pop-up cards and artbooks, which they hope to launch soon.